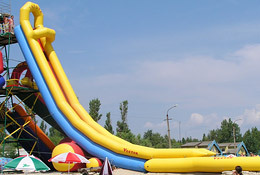 Install the water slide on the coast or in pool and you will make happy all resting people and obtain your reliable and stable income. 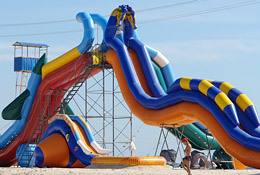 Only choose the water slide suitable for you! 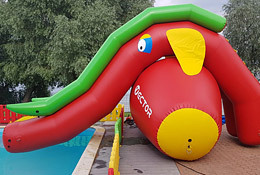 Due to technology we use for manufacture of our products, the water slide requires no continuous air boosting! 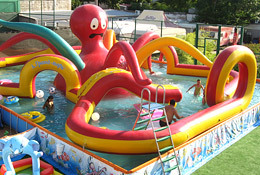 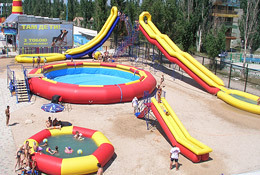 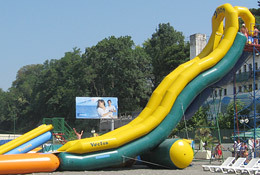 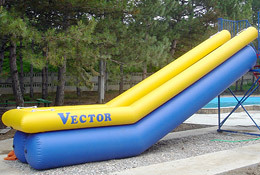 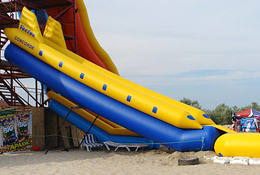 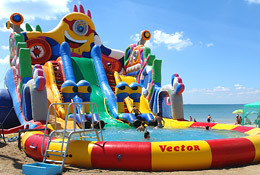 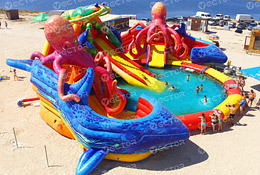 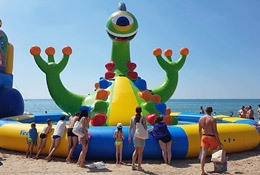 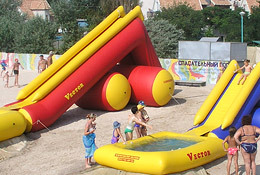 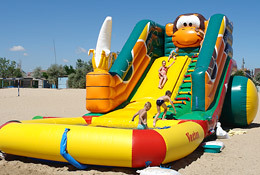 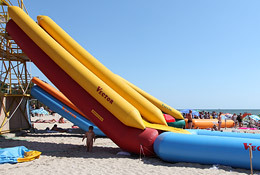 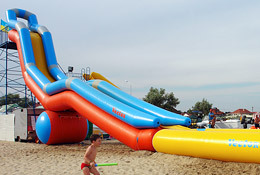 All stationary slides may be made with removable inflatable pool. 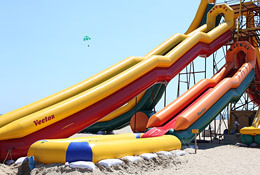 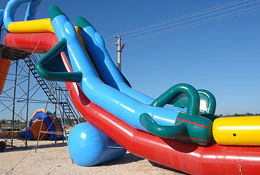 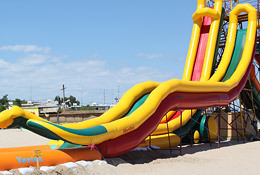 We’ll design and manufacture Water slide to your individual order with consideration of your terrain relief and your wishes.